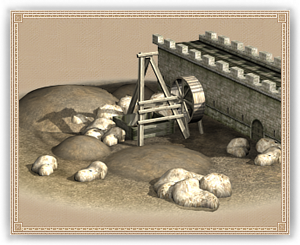 Mines increase the trade income generated by metal deposits in the region and increase population growth for Dwarves. A Mining Network greatly increases the income generated by metal deposits in the region and increase population growth for Dwarves. A Mining Complex maximises the income generated by metal deposits in the region and increases population growth for Dwarves.